Many people do not look forward to having their teeth cleaned. While many do not seem to mind a dental services, enjoying the aftereffects of clean teeth enough to make it through a dental appointment, there are quite a few who dread going to the dentist so much so that they will put their oral health at risk. If you are someone who has any fears or phobias about going to the dentist, you have found the right dentist for you. Marietta dentist, Dr. David Kurtzman, has created a dental practice that caters to special care patients. The entire team at Dr. Kurtzman’s practice is dedicated to doing dentistry differently. Doing dentistry differently in Dr. Kurtzman’s office means making sure that each client is completely at ease before, during, and after any dental work has to be done. 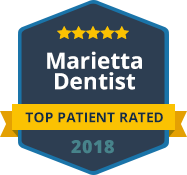 Dr. Kurtzman and his staff strive to provide such a great experience for each client that your experience of a visit to the dentist will be changed forever. The moment you walk into Dr. Kurtzman’s dental office, you will start to notice that dentistry is done differently here. You will immediately sense a very warm, welcoming environment that is unlike any dentist office you have visited. When you combine the warm environment with an extremely friendly and attentive staff, you will know that you are well on your way to the start of a more pleasant dental experience. Dr. Kurtzman schedules appointments far enough apart to ensure that each client is treated with the unhurried care and compassion that we would all like and expect from a trusted healthcare professional. Dr. Kurtzman is especially sensitive to patients who are severely fearful of the dentist or who may have medical problems or special needs that need to be considered with seeing the dentist. Dr. Kurtzman has a great deal of experience with with special needs and special care patients. Dr. David Kurtzman has built his practice and his well established reputation as a dentist who takes the time to make sure that every patient is cared for in the most appropriate and painless way possible. Many children and adults suffer from poor oral hygiene simply because they have not found a dental practice that understands how to treat them. According to a report from the American Academy of Pediatrics, research has shown that rates of oral diseases are much higher in children with medical issues. Do to certain medical needs or high anxieties over visiting the dentists many patients have oral procedures safely done with sedation. Sedation dentistry allows patients to be put under so that they are unaware of work being done in their mouths. Also, it is highly beneficial for those who may require further procedures. For example, a dental cleaning done during sedation may show that there are cavities present. Dr. Kurtzman can fill the cavities during the same sedation so that patients will not have to return for another visit. Those who are highly fearful of the dentist or who have medical issues need high quality dental care just like everyone else. Don’t let these issues stand in the way of proper oral care. Dr. David Kurtzman understands how important it is to care for those who have special needs. Sedation dentistry is a type of dentistry that allows patients to be put to sleep so that they are unaware of what is happening to them during a dental procedure. While many people choose to go under sedation when having extensive dental work done, sedation dentistry can also be done for those who need a dental cleaning or to have a cavity filled. Mental health problems are also common factors when choosing to undergo sedation as cleaning the teeth or working in the mouth may prove difficult for both the patient and the dentist. Dr. Kurtzman understands that sedation dentistry is not for everyone. Sometimes simply knowing and understanding a patient’s anxiety about dental care is enough for him to put his patients at ease. However, if you find yourself putting off dental appointments or breaking out in a cold sweat when the time has arrived, you may be a perfect candidate for sedation dentistry. Dr. David Kurtzman offers sedation dentistry to make the entire dental experience different in the best way. Dr. Kurtzman and his staff hear over and over again from patients that they wish they had known about his dental practice sooner. Find out for yourself what a pleasant experience a trip to the dentist can be by contacting us today!